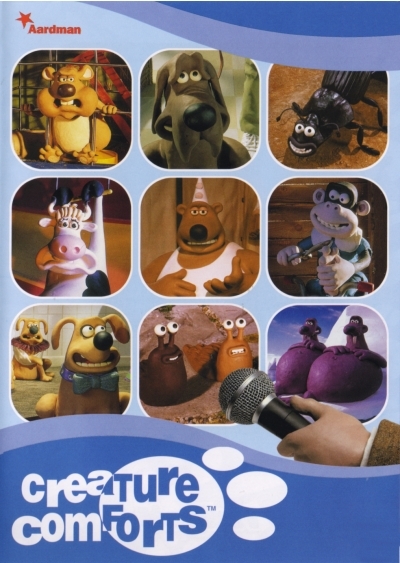 Creature Comforts is a stop motion clay animation comedy mockumentary franchise originating in a 1989 British humorous animated short film of the same name. The film matched animated zoo animals with a soundtrack of people talking about their homes, making it appear as if the animals were being interviewed about their living conditions. It was created by Nick Park and Aardman Animations. The film later became the basis of a series of television advertisements for the UK electricity boards, and in 2003 a television series in the same style was released. An American version of the series was also made.